With over 3 decades of experience in providing thermal measurement solutions, TMS Europe provides a comprehensive range of temperature related products and services for almost every type of industry. 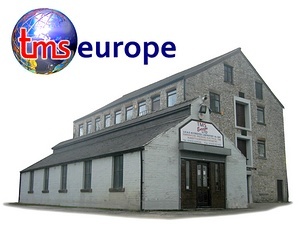 TMS Europe Ltd has been established for over three decades providing Thermal Measurement Solutions to almost every type of industry. We are distributors for world leading instrument brands such as ABB, Eurotherm, Ahlborn Almemo, Rotronic, Datatrack, CAL, West and many more. In addition we also manufacture our own range of block calibrators, calibration furnaces, special furnaces & ovens and temperature sensors. At TMS we provide calibration services both on and off-site. Our laboratory is ISO17025 UKAS accredited for Temperature, Infrared, Humidity, Dew Point, Electrical, Pressure and Time. In addition we have reciprocal calibration arrangements with other UKAS accredited laboratories. 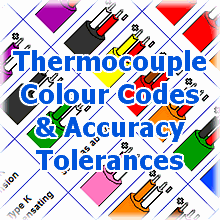 We manufacture a full range of thermocouples and sensors from -196°C to 1800°C complete with the ability to calibrate them. Our calibrations are ISO9001 traceable or ISO17025 UKAS, to National and International standards, giving you the benefit of a complete one-stop service! Admittedly there is a lot of competition for customers to choose from, so why choose TMS? To put it simply we know you have a choice! As a company committed to serving its customers, we will always endeavour to provide you with practical solutions, competitive prices and the best service – why? Because without our valued customers, we don’t have a business. We are located right in the heart of the Peak District National Park, within easy reach of Sheffield, Chesterfield and Stockport. Our central location affords us excellent links to the motorway network allowing us to provide a National service.